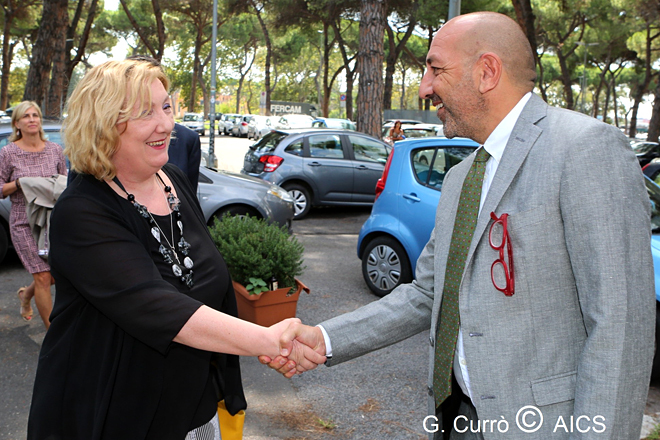 Rome – A cordial encounter to mark a new milestone on the journey towards the further development of the partner countries of the Italian Agency for Development Cooperation. 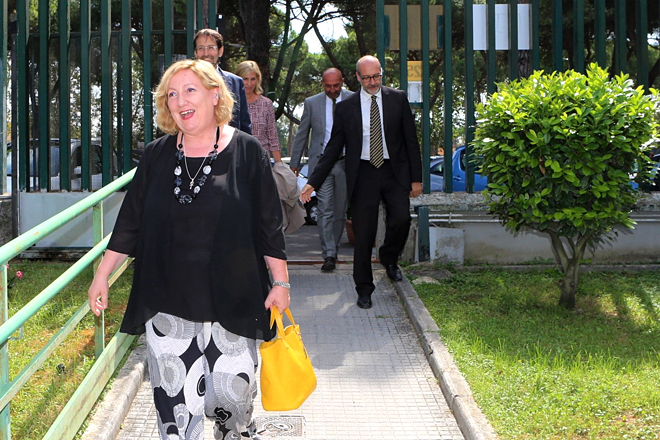 On Tuesday September 4, the Deputy Minister of Foreign Affairs and International Cooperation Emanuela Claudia Del Re, nominated by the President of the Republic on August 6, visited the Agency’s headquarters in via Contarini. In conversation with the deputy director Leonardo Carmenati, and with several of the Agency’s managers, Del Re highlighted the guidelines of her mandate, the importance and value of the Italian Cooperation, the commitment to move it forward and to reinforce the good work carried out by the Agency in recent years. Many subjects were discussed, ranging from the centrality of Africa to the challenges of environmental issues and sustainable development, to policies on health and disablement, and to the correct way to involve the private sector in cooperation initiatives. The Deputy Minister then visited all the offices and met and talked with the Agency’s personnel, listening to their experiences and ideas, and in conclusion she expressed her satisfaction with the expertise and passion transmitted by the entire organisation, confirming the tremendous potential of the Italian Agency for Development Cooperation.